My hero of the week continues to be KIMBALIANO!! 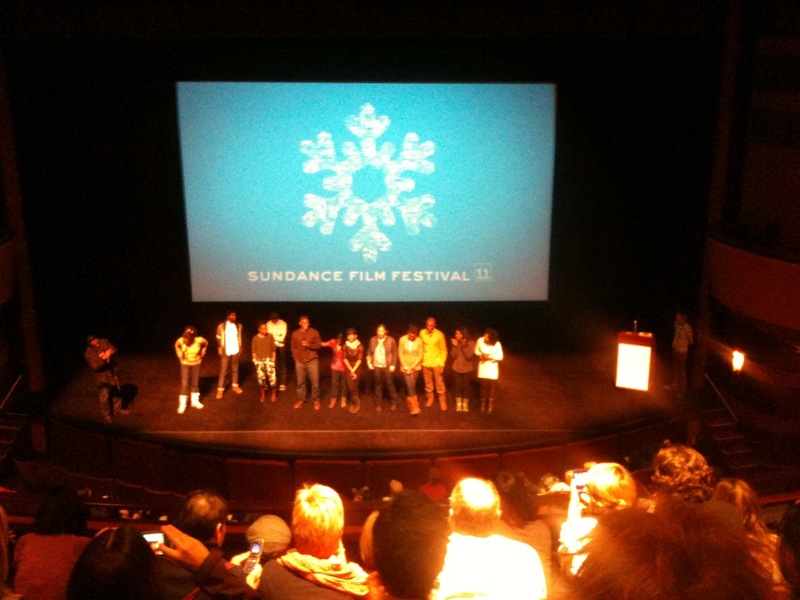 This is our second entry into reporting on her foray through Sundance. 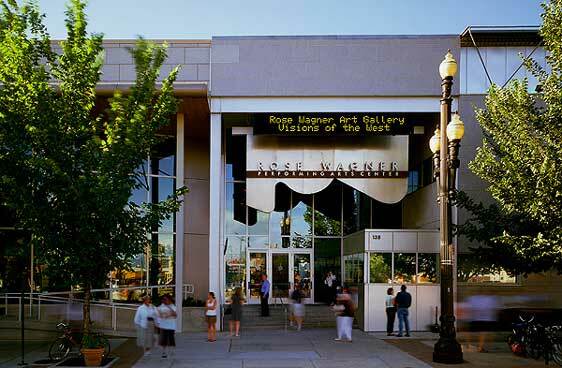 For this week, Salt Lake City, UT and the surrounding area is hands-down the film going capitol of the world! KIMBALIANO: Hello from Sundance, Day 5! The weather continues to be beautiful (at around 9:00pm Mountain Time, it is 34 degrees and clear) - much better than the foot of snow which fells a couple years ago!! Tomorrow (Tuesday) looks to have a high around forty and a low near thirty. Yesterday was my first volunteer shift - taking tickets, changing posters, cleaning the theatre. It's a great way to experience the Festival, in a behind the scenes way. And for every four hours you volunteer, you get one free ticket to see a movie. Plus, volunteering occasionally provides movie star interaction! 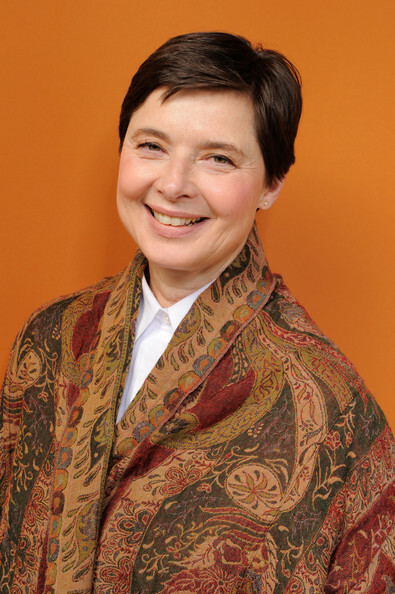 For example, Isabelle Rossellini was at our theatre Sunday - she had a documentary short about her love of animals (ANIMALS DISTRACT ME). I didn't get to see the short, but heard it was adorable. After the short ran, she walked right up to me to ask me a question - I replied "The women's restrooms are on the far side of the concession stand". I'm totally counting that as hobnobbing with the stars. I did get to see a couple of movies Sunday, both of which were quintessential Sundance. 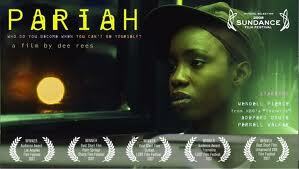 The first was Pariah, the story of a young, lesbian teen living in Brooklyn, trying to balance her life with her friends and her parents - changing from her tomboy clothes to more feminine outfits on the bus ride between the two. I thought it started slow, but dang if I wasn't sniffling by the end. There's some buzz it could win the US Dramatic Competition, and while it was good, I hope there's something stronger out there. The second movie I saw was 100% sad. It was a subtitled Cuban movie called "Ticket to Paradise". 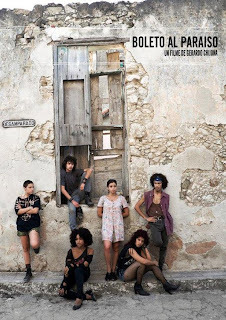 It centered around group of discarded, runaway, and homeless teenagers in Havana. They ponder a life changing decision in an attempt to gain admittance to a hospital, where clean beds and daily meals are provided. The movie claims to be based on true events, and the decisions these teens make - feel forced to make - are heartbreaking. So not an upper, but wonderfully acted and honestly presented. It's in contention for the World Dramatic Prize, and I think it has a chance. 1. 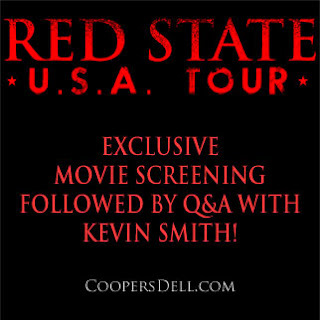 I will get to see RED STATE the way that Kevin intended. 2. The showing will feature a Q&A with Smith and at this point, rumored as well to include Michael Parks. 3. I will get to see an actual movie at the Midland, a former movie house of true glory, that has been reduced to an events/concert hall. 4. The Reel Rhino says YES to any unique movie going experience! A final word from KIMBALIANO: My view from the balcony at Rose Wagner (one of the Salt Lake City venues) during the Q and A for Pariah. The Sundance snowflake on the screen (and on all the promotional material) is made up of small icons representing a number of Sundance movies from the past. REEL RHINO: Kimbaliano, you are a gem! Keep having a blast and keep sharing your experiences, I love it and I just from yesterday alone, several folks are please that my filmic reach goes beyond Kansas City. Honorable Mention in Short Filmmaking - Can We Talk? Until next word from KIMBALIANO, the Reel Rhino says thank you and good night! I watched the 25 minute "q&a" after the screening and he did say Parks would be in attendance.